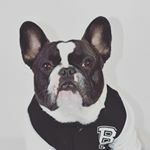 French Bullevard is a New York City luxury accessory brand dedicated to dogs, with a special mention to French bulldogs. Our mission is to deliver to our beloved furry friends unique gifts to celebrate unique moments of their lives with distinction. We endlessly thrive to remain creative by constantly updating and creating new collections, lines, and items to compliment your pooch’s wardrobe. Are you looking for that wow factor that demands attention? 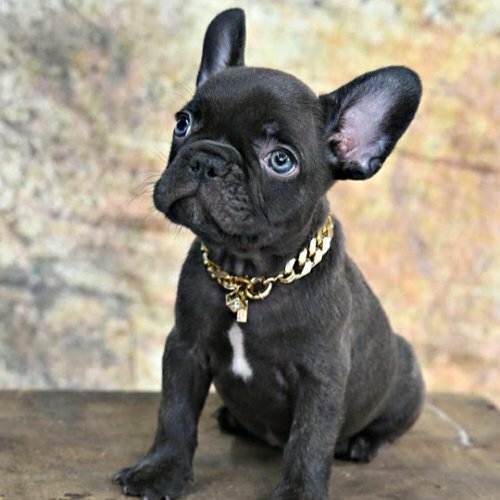 Browse our beautiful chains collection and find the perferct bling which will surely catch the eyes of anyone around your frenchie. Our chains are made up of tough brass plated in 16K gold for that unbelievable rich and luxurious aura. 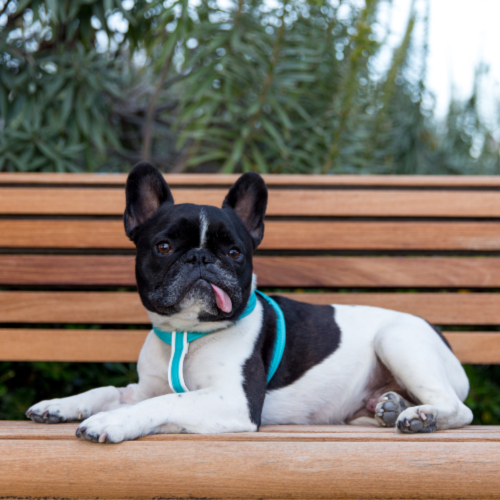 100% Cruelty-free harnesses with an astonishing look and feel. Waterproof fabric, stink- and mold-proof for easy cleaning and low maintenance. Our luxury line of vegan leather harnesses have the look and feel of real leather. 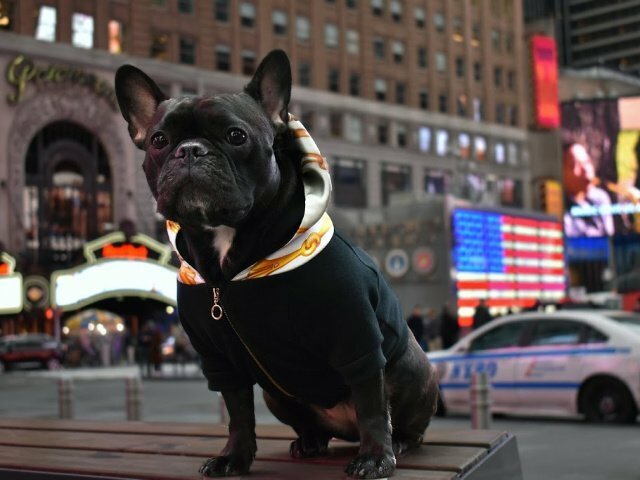 Make a fashion statement for your frenchie, without harming another animal. 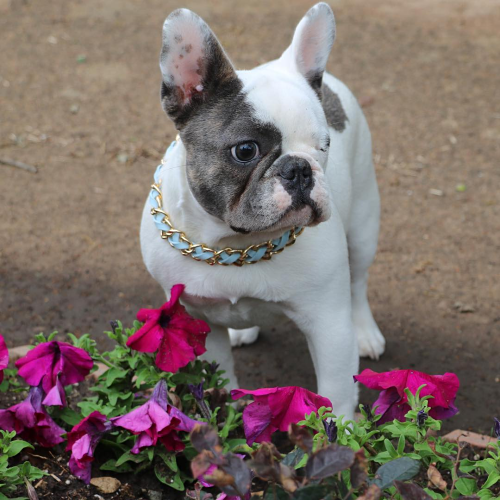 Inspired by french bulldogs, our unique handmade jewelry and accessories will sublimate any pooch’s look, boy or girl. Soft and better for the environment, our sport-chic collection includes harnesses but also these beautiful collars. Discover our newest clothing line with the hoodies collections. 100% silk and made in NY. Inspired by Frenchies. 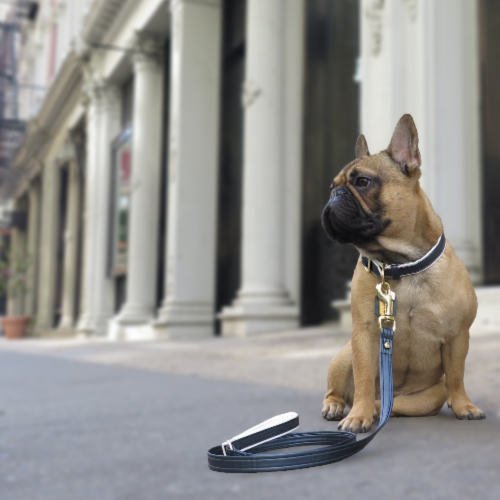 French Bullevard is a New York City luxury accessory brand dedicated to dogs, with a special mention to French bulldogs. Our mission is to deliver to our beloved furry friends unique gifts to celebrate unique moments of their lives with distinction. We endlessly thrive to remain creative by constantly updating and creating new collections, lines, and items to compliment your pooches’ wardrobes.